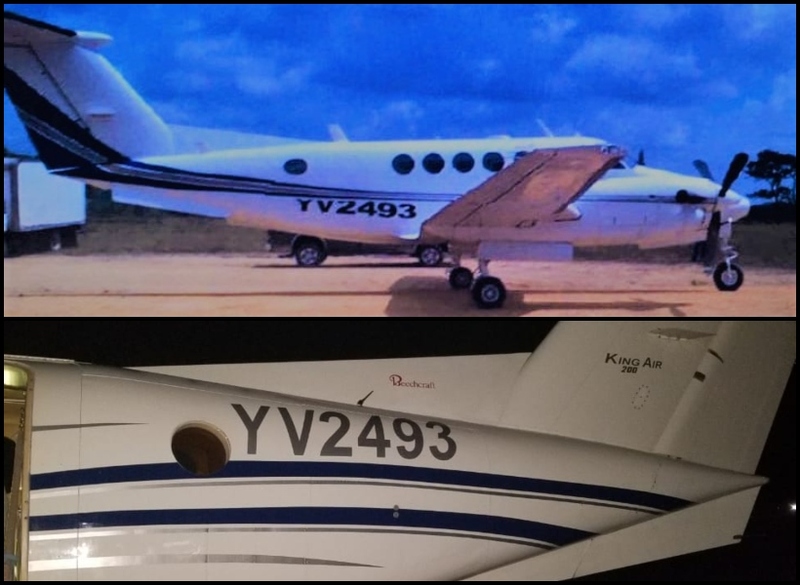 An investigation has been launched after a privately chartered aircraft, with what appeared to be a false registration number, landed at the Cheddi Jagan International Airport around 15:20 hrs yesterday. The plane has the same registration number that another aircraft is carrying. Additionally, the “Date Plate” which contains pertinent information about the plane, is missing. The Guyana Civil Aviation Authority (GCAA), the Guyana Police Force and the Customs Anti-Narcotics Unit (CANU) upon carrying out their preliminary investigation discovered certain irregularities. The plane has since been detained. The Guyana Standard has been informed that the pilots and passengers were invited to Guyana by “Mr. Michael Brassington,” who was at the airport to receive them. Further, the “Handling Permission Form” listed Roraima Airways Inc. as the handling agent for the aircraft. Director-General for the GCAA, Lieutenant Colonel (retd), Egbert Field could not be reached for an comment.